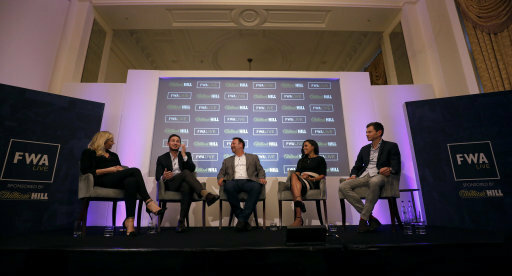 Our latest FWA Live was a great success, with England Legends Frank Lampard and Alex Scott joining Carrie Brown, Neil Ashton and Paul McCarthy on a panel to discuss the FA Cup final, World Cup and many other topics. 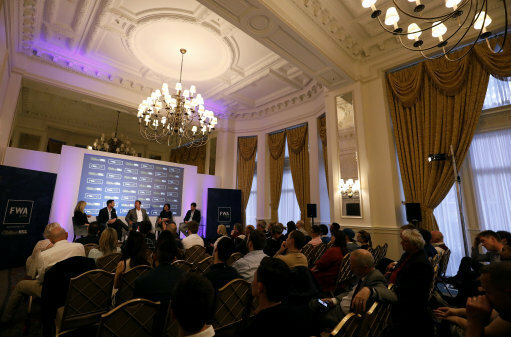 Supported by our title sponsors William Hill, it was held at the Landmark Hotel, London, on Thursday May 17 and covered a lot of ground. Frank and Alex kindly donated their fees to charity. Frank donated his to the Matthew Harding Trust while Alex supported Millwall Lionesses, who are struggling to survive. The panel was split 3-2 in Manchester United's favour on the outcome of the FA Cup final, and Germany were most widely tipped to win the World Cup, with England expected to reach the quarter-finals according to our panellists. The audience, which included a number of sports journalism students tutored by FWA member Brendan McLoughlin at the University of Gloucester, were able ask questions of Frank and Alex, who were happy to pose for photos and autographs afterwards. There was also a good turnout from members of the FWA national committee. Look out on the FWA YouTube channel for footage from the evening over the coming days.